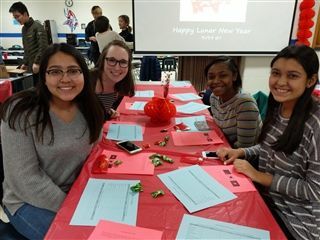 WLHS students, host families, faculty and staff, and other guests rang in the Year of the Pig with a fantastic dinner party on February 4. 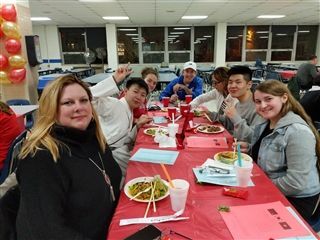 Attendees gathered in the school cafeteria, which was decorated by students, and enjoyed traditional Chinese, Korean, and Vietnamese cuisines from local restaurants. 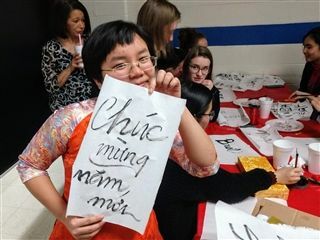 Students from countries which celebrate the Lunar New Year gave informative cultural presentations. Attendees also tested their knowledge with a trivia game. 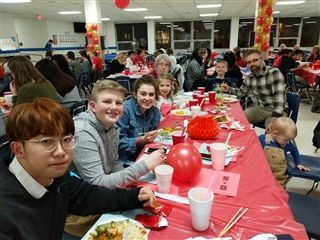 After dinner, the partygoers got the opportunity to practice writing in different languages, sing karaoke, play a variety of games, and take pictures in the photobooth. 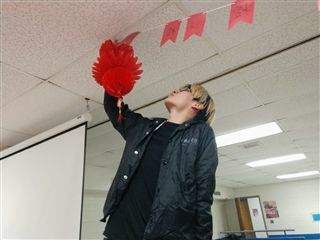 Lunar New Year is celebrated in several Asian countries. Each year, the festival begins on the first new moon of the lunar calendar. 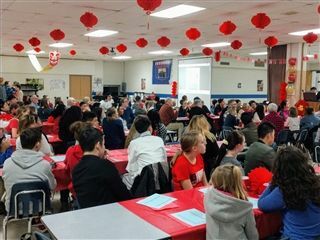 This year, over 150 people gathered for the annual festivity at WLHS.